The exotic sound of Thai names makes them a great choice for our feline companions. Of course, you can always go with the traditional names but where’s the fun in that! 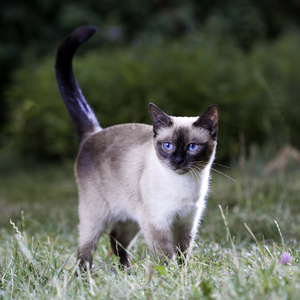 Asian cat names are perfect for cats of oriental breeds, such as the Siamese. But regardless of your cat’s breed, these names are beautiful and have a distinctive ring to them. The list below includes names for both female and male cats. You will also find the meaning of each name. I hope you enjoy the list as much as I enjoyed compiling it. Need more cat name ideas? If so, you may like to check the links below, especially if you are looking for Siamese names for cats.